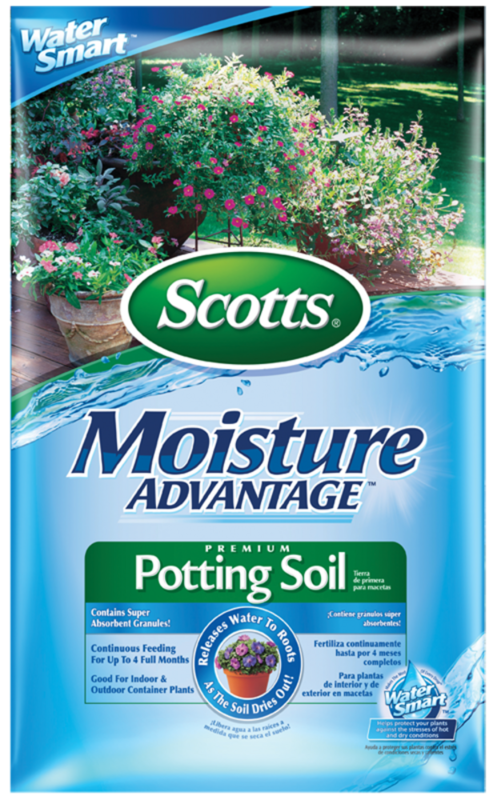 Contains Super absorbent granules that release water to the roots as the soil dries out. Continuous feeding for up to 4 full months. Contains sphagnum peat and perlite to help retain water and improve drainage. Fills two 12 inch wide pots. Select a pot with drain holes. Fill the pot about 1/3 full. Loosen root ball and place it in the pot. Add more mix; and press lightly. Water and let drain and continue to water daily or as needed. Use when potting or repotting (not for in-ground use) indoor or outdoor plants in containers. This product has been identified as a Water SmartTM product, indicating that it contains properties that enable more efficient use of water helping to protect your plants against the stresses of hot and dry conditions. Good for indoor and outdoor container plants.